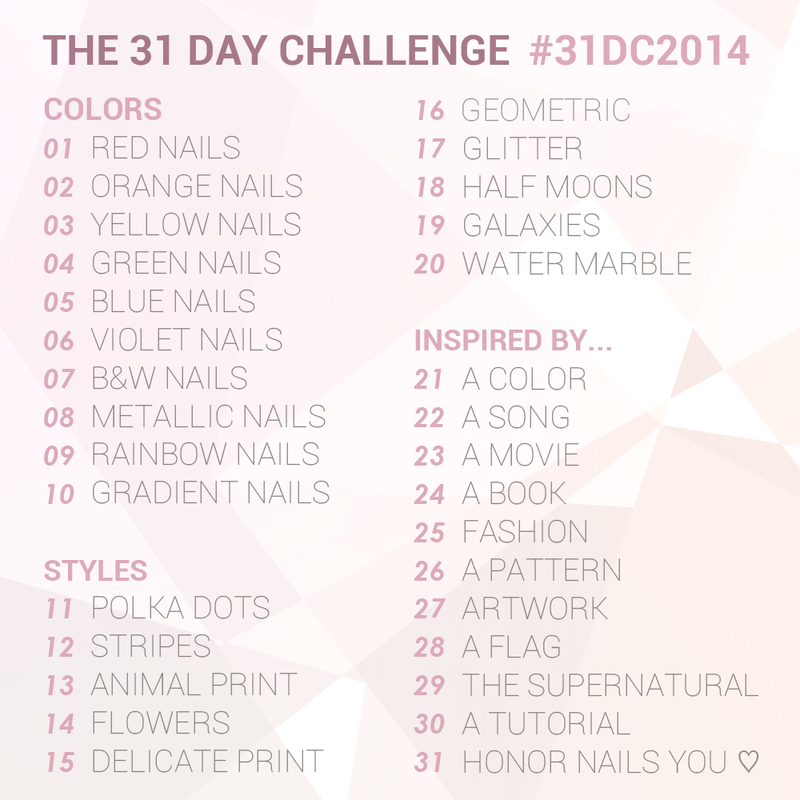 I'm doing it, the 31 days challenge. I'm two days late though, but I'll try to catch up! So, from today, you'll get at least one post a day until I'm done. Or that's the plan! So, today is my first day, even though it should be my third day. The theme for day 1 is red. Take a look! I decided to try out the one stroke technique, 'cause I've never done that before. It was hard! And fun! And I really like it! I started with one coat of Ciaté Dangerous Affair (that was actually my base last year too) and then one coat of China Glaze Ruby Pumps. 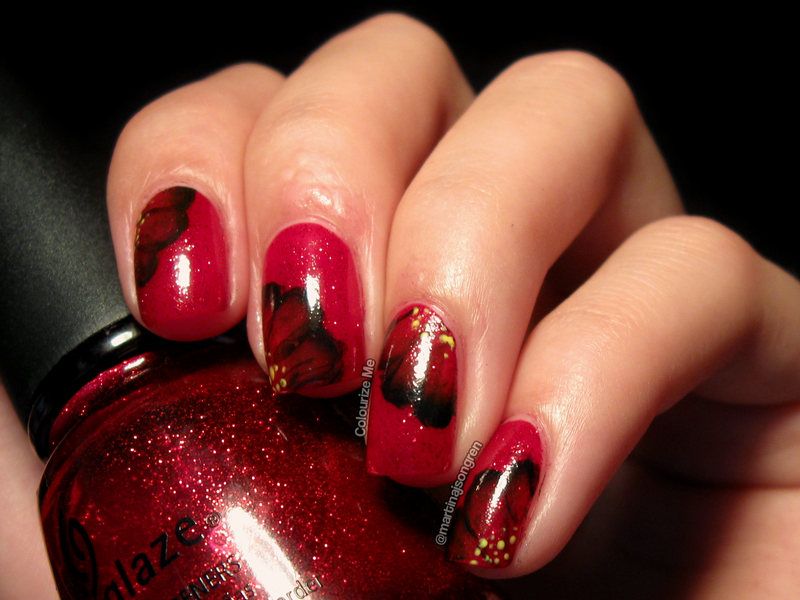 When my nails were dry I did the one stroke flowers with cheap acrylic paint, a flat square brush and a dotting tool for the yellow dots. 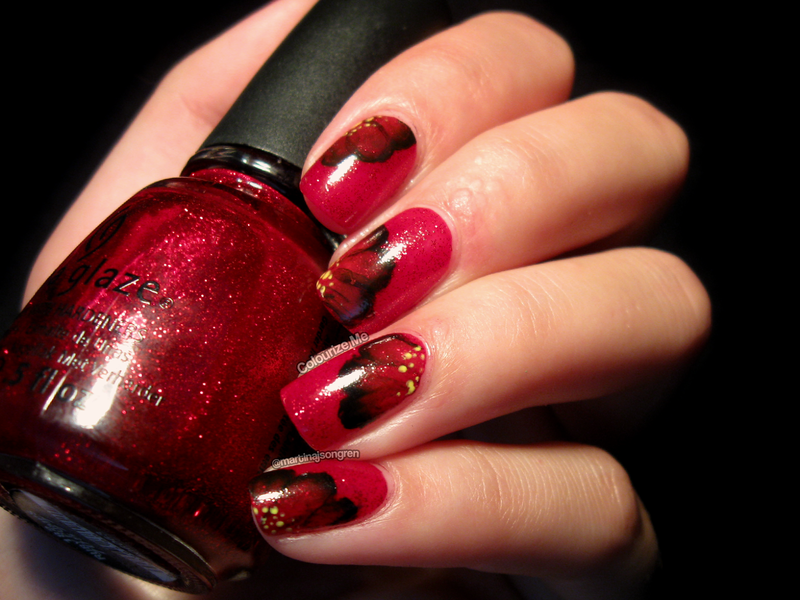 I finished the design with one coat of top coat, but maybe I should have put on two coats. The glitter looks a bit rough. Are you doing the 31 days challenge? Let me know so I can follow your creations! 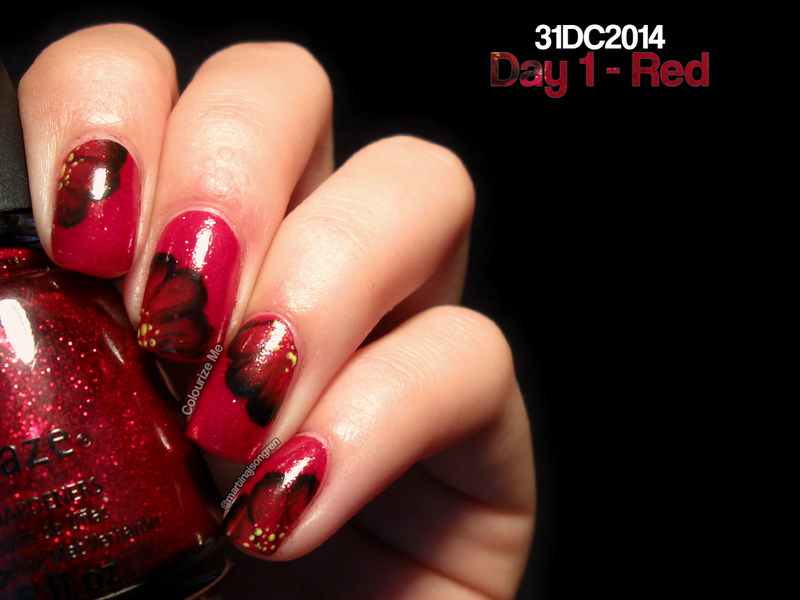 Check out day 1 from last years challenge, click click! Nu får du faktiskt lära mig hur man gör onestrokes! Det här var ju bara grymt snyggt.